The hole may only be 4.25 inches in diameter, but let's face it... it could have been 4.25 feet and you still would have won this award. 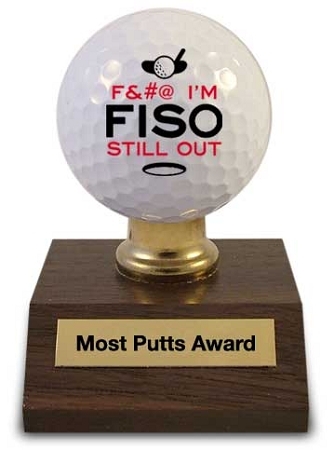 Your inability to read a putt (any putt) is truly astonishing. You should take some pride in knowing that by the end of the round you were becoming quite proficient in lining up the dreaded third putt. Congratulations.